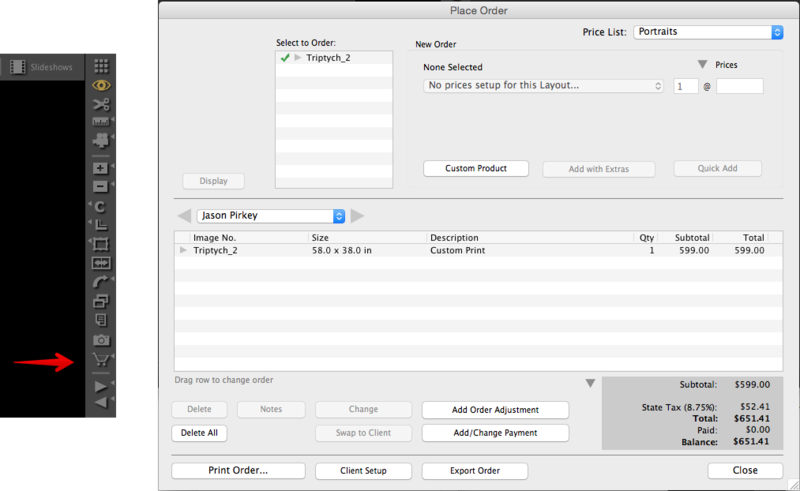 You can use the ProSelect importer to import any order that you’ve created in ProSelect. In ProSelect, you’ll first add whatever products the clients order into their cart by clicking the order item cart button on the right-hand side. Next, you’ll click on the “Export Order” button at the bottom. 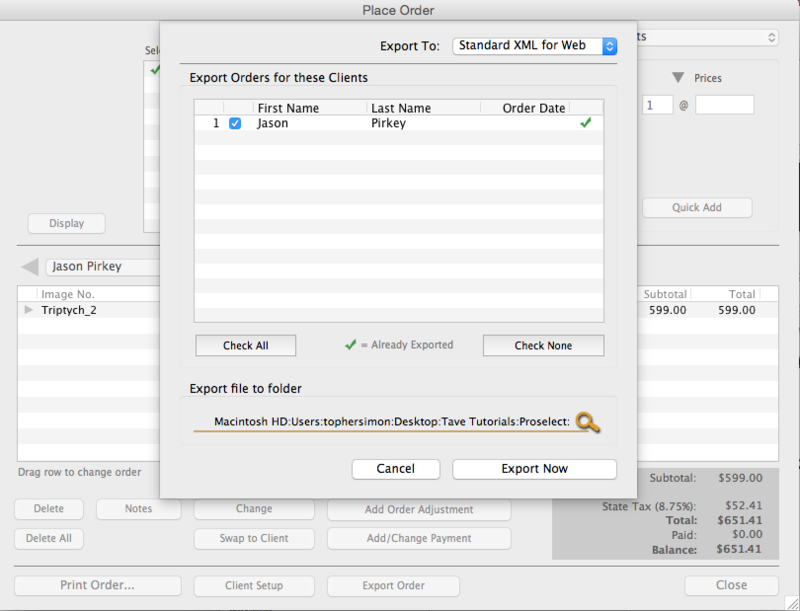 On this screen, you’ll select Export To: Standard XML for Web, check off the client whose order you’re exporting, and choose a location on your computer to save the exported file. 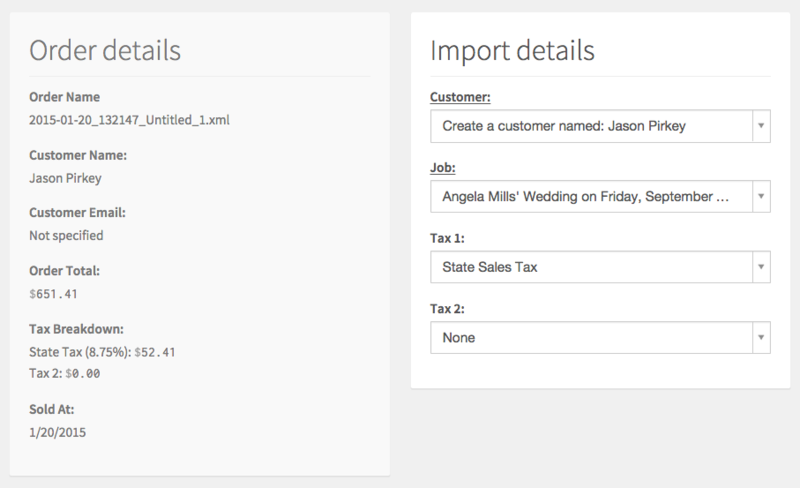 After you’ve exported the XML file, head on over to Táve and go to Settings › Data Management › Imports where you’ll click on the “Import Order” button. Here, you’ll upload the XML file you exported from ProSelect by locating it on your hard drive where you saved it. You will be presented with Order Details as well as options to attach the order to an existing customer (or create a new one), attach it to a specific job, and assign the sales tax collected to one of your tax groups set up in Táve.